If you don't naturally have the DIY skills of Martha Stewart, you may find yourself a bit apprehensive about making your own Valentine's Day card. Don't stress — and don't try to pretend you're something you're not. 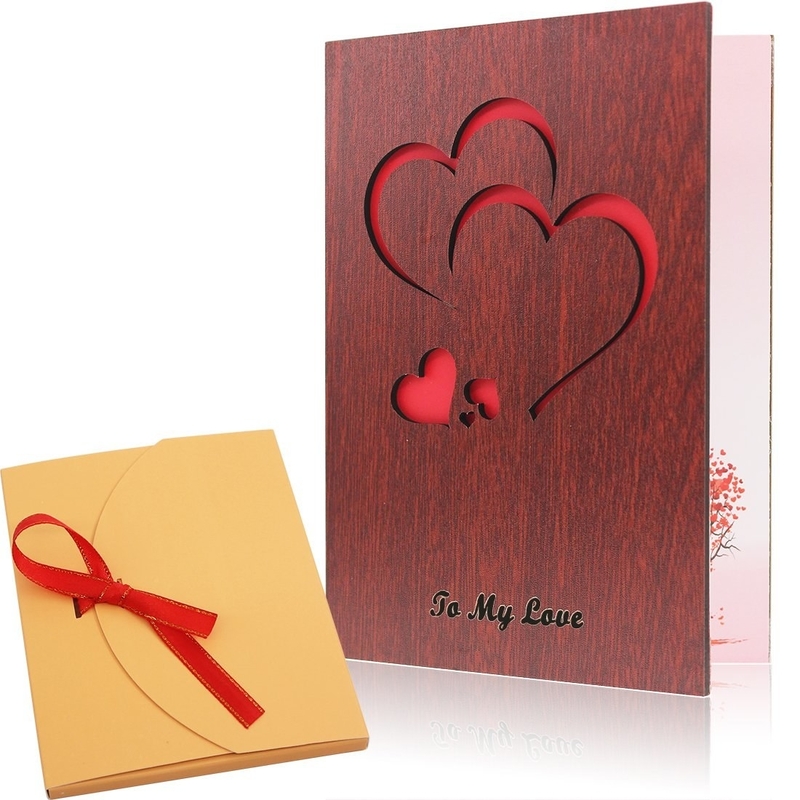 Make your life easy and log onto your computer, head over to one of these fab sites, and order your V-Day cards online. 1. Maisonette is mainly geared towards kiddos, but they also have really cute paper goods! 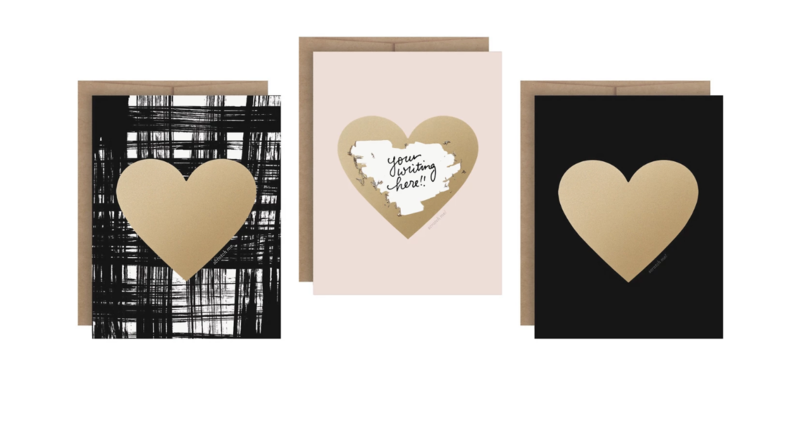 Why it's great: If you have a little one of your own or just have a ton of friends you'd like to show some love this V-Day, Maisonette has adorable options for bulk Valentines. 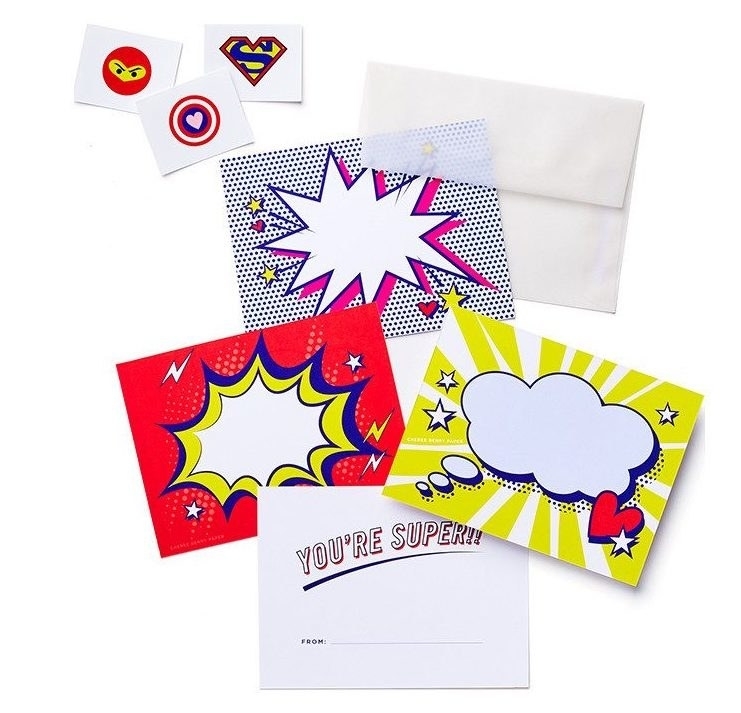 Items we love: A set of 12 super hero–inspired cards for $22 that come with temporary tattoos (FUN!) or a precious 12-pack of positive message Valentines for $22 that recipients of any age would appreciate. 2. Amazon has tons of card options to melt the hearts of all your favorite people this Valentine's Day. Why it's great: TWO-DAY SHIPPING! Need I say more? No, but I will. If you're waiting until the very last minute to decide if that ~fling~ you've got going on is worthy of a card, you've got until February 12th to do so. 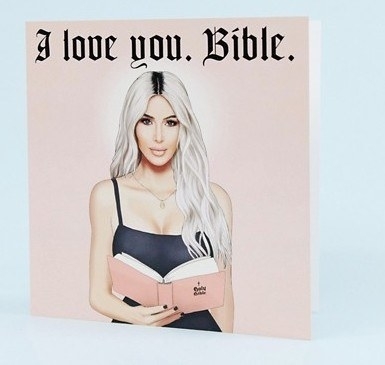 Items we love: An assorted pack of 12 card stock Valentines to cover your whole squad for $10.99 (available in three styles) or this super cool card for your boo that's made of hand-carved wood for $9.99. 3. 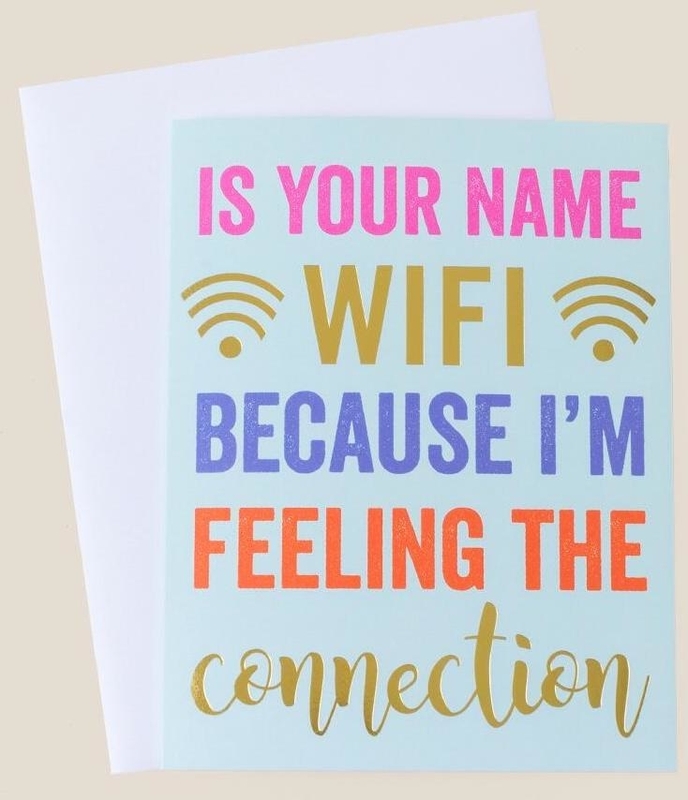 Unsurprisingly, Etsy is an amazing resource for finding unique cards that are sure to make your significant other giggle. Why it's great: When Ariana Grande sang, "I see it, I like it, I want it, I got it," I really think she was talking about her shopping experience on Etsy. 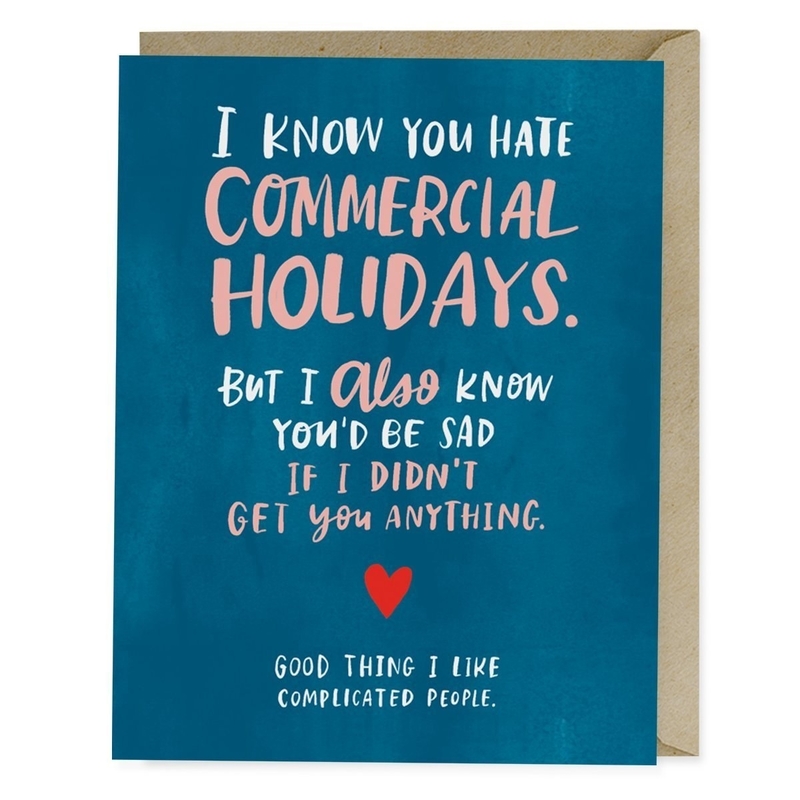 With a quick search you can find the perfect Valentine's Day card for your partner, friend, or co-worker. 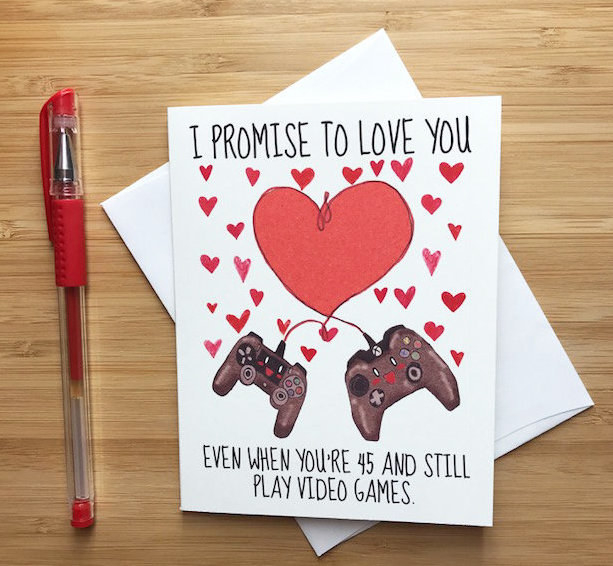 Items we love: A card that shows your video game–obsessed S.O. 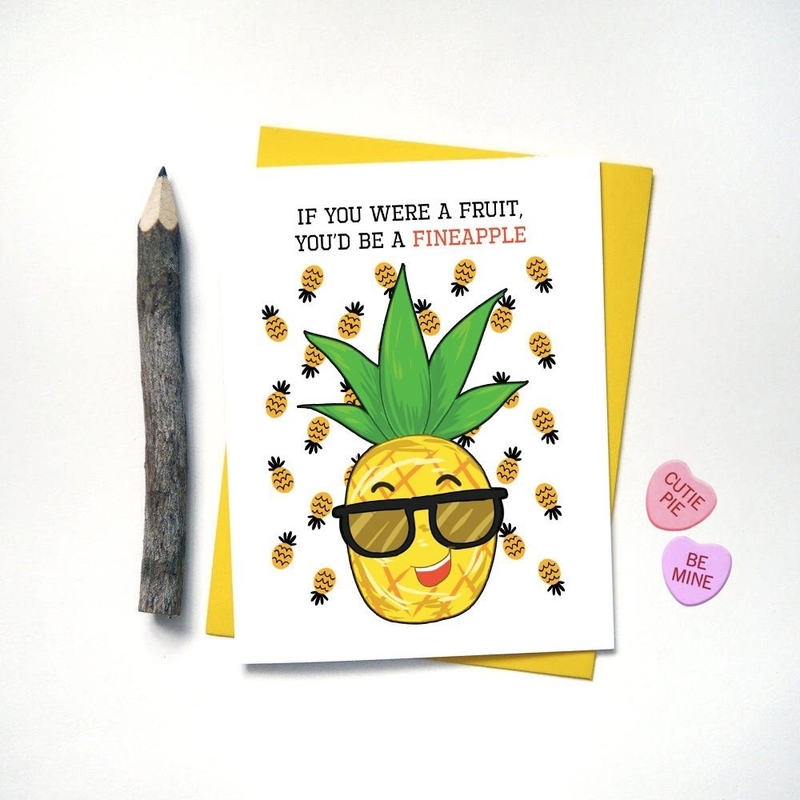 how much you love them (even if their constant gaming is, ahem, a thorn in your side) from YeaOhGreetings for $4 or a punny pineapple card from MightyDonut for $4.50. 4. 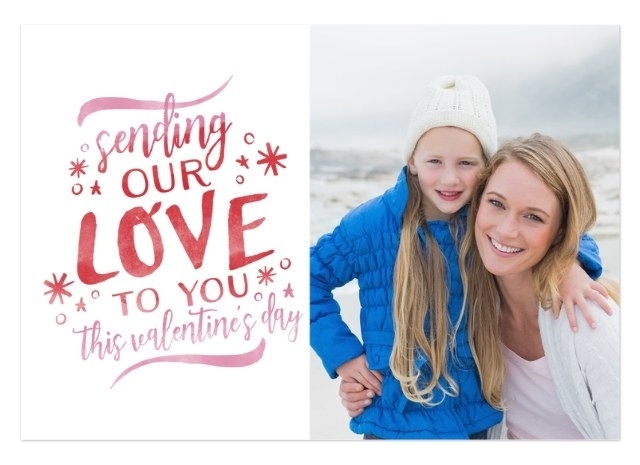 Minted, which has the most precious Valentine's Day cards you will ever lay your eyes on. Why it's great: The site offers a fun mixture of funny illustrated cards, personalized picture cards, and artfully designed ones. And, honestly, their cards are just so damn pretty. 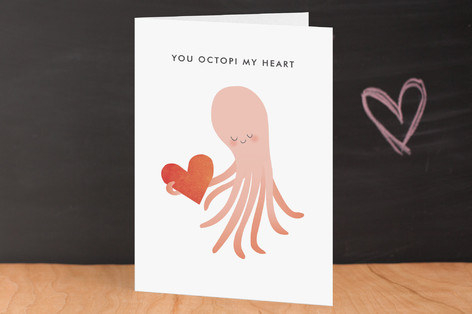 Items we love: A pun-tastic octopus Valentine's Day card that will make your partner squeal for $5.99 (available in five styles) or the perfect card for any couple that has bonded over their love for coffee for $5.99. 5. Hallmark, AKA the OG place to fulfill all of your greeting card needs. Why it's great: Hallmark has been a staple for greeting cards forever. Sometimes it's just comforting to go back to what you know — and that, my friends, is Hallmark. 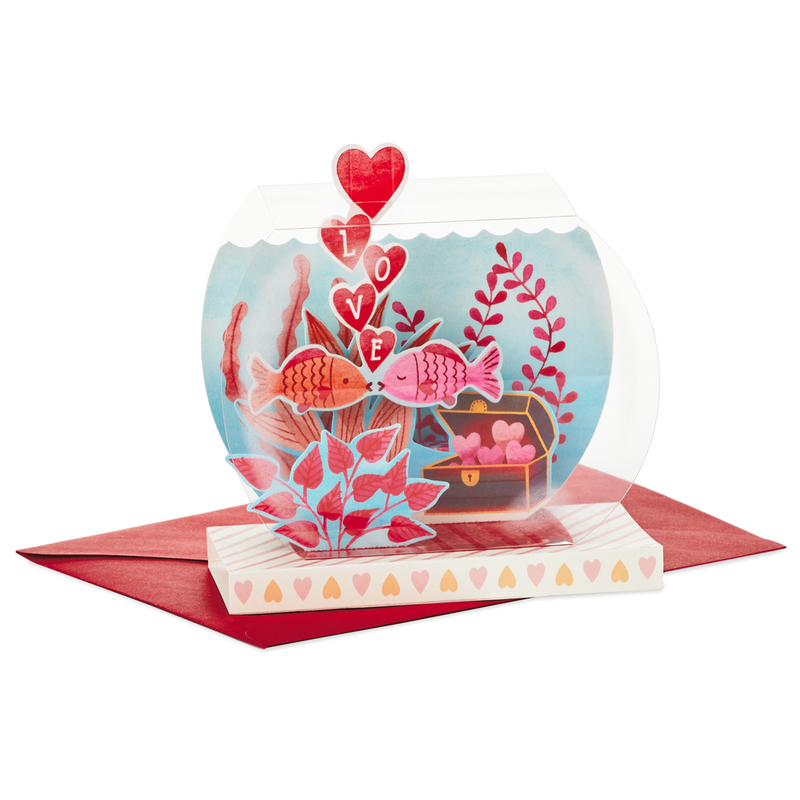 Items we love: An exciting pop-up fish bowl to surprise your love with an extraordinary card for $5.99 or subtle, but sentimental card that'll set the mood for your V-Day date night for $6.99. 6. Walmart, because you can order all the decor you need for a V-Day party while also picking up a card for your love. 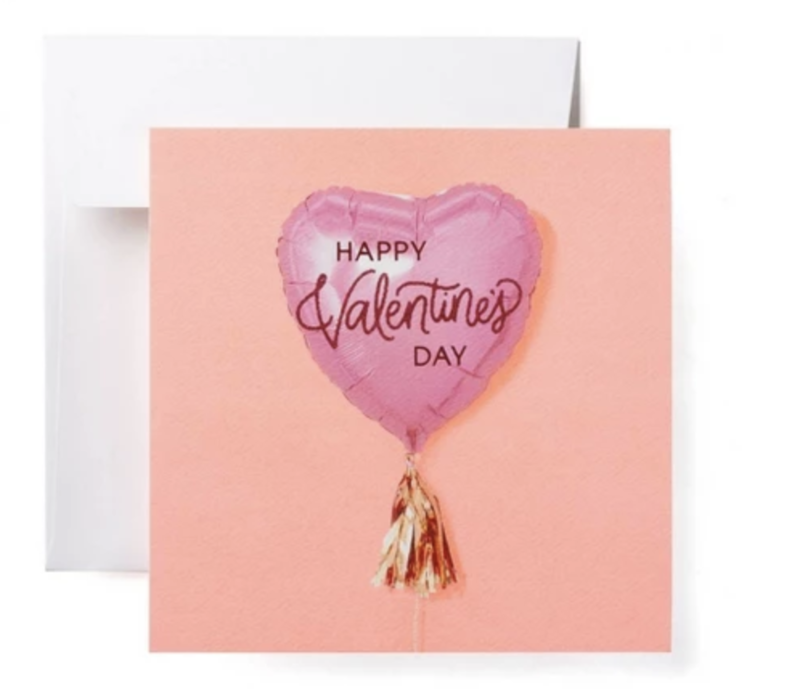 Why it's great: While you're placing an order for cute heart-shaped decorations for a sweet celebration at home, you can also add in a card for your better half. Check off those to-do list tasks, guys! 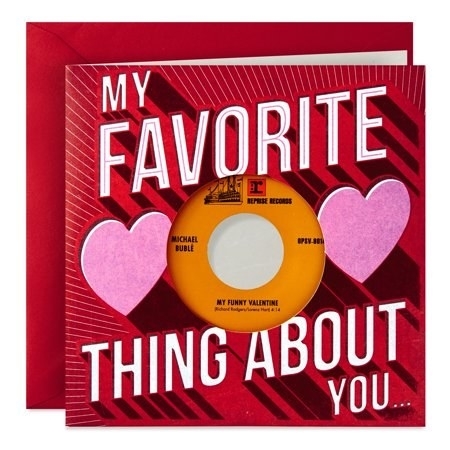 Items we love: An amazing card with an actual 45 record featuring Michael Buble's "Everything" that'll have any music-lover swooning for $12.99 or a futuristic set of personalized robot Valentine's your kiddo will love handing out for $.99+ (available in three styles). 7. Urban Outfitters has more than just fab fashions — they also have the fun cards you're looking for this Valentine's Day. Why it's great: Get ALL of your V-Day shopping done with one click! You can pick up a gorg outfit for your S.O. to wear on date night, a candle to set the mood, and a card. Done and done. 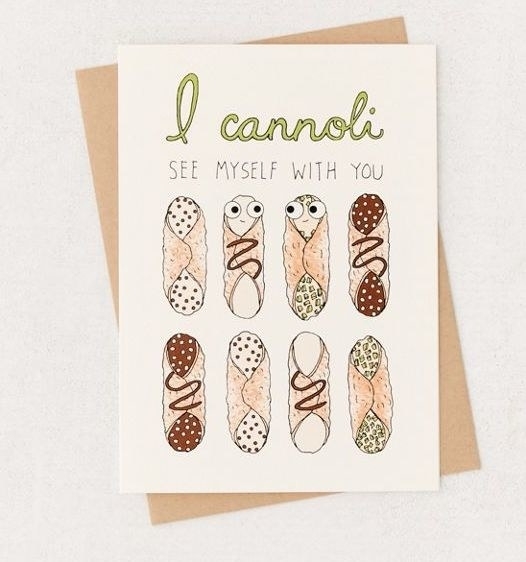 Items we love: A delectable card that'll get your partner's stomach growling while also paying tribute to your shared pizza obsession for $6 or an adorable dessert–themed card that will have any recipient saying "I CANnoli not!" for $5. 8. Shutterfly for a variety of greeting cards you can put your personal touch on to make your loved one smile. Why it's great: There are so many different styles to choose from to create the Valentine's Day card of your dreams. From glitter cards to foil-stamped cards, the hardest part about shopping here will be choosing which one your want. Items we love: A glittering beauty of a Valentine's Day card that you can customize for your sweetie (or to share with your fam!) 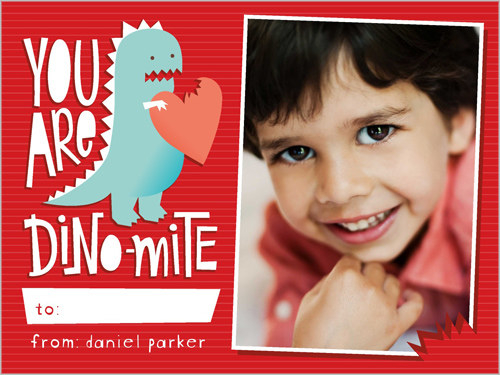 for $1.70+ (available in two styles) or a dino-mite card for your kiddo to give out to their friends at school for $1.07+. 9. Paper Source has a plethora of cards for you to choose — you'll never have to worry about picking the wrong greeting card again. 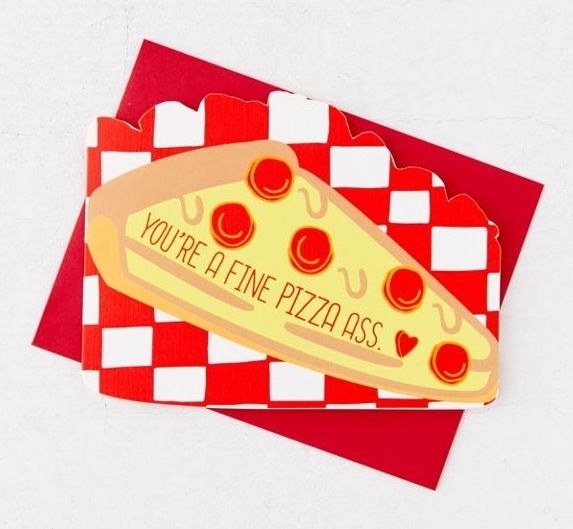 Why it's great: Whether your looking for a more ~saucy~ card for your boo or a sweet card for your new crush, Paper Source has got you covered. After buying your Valentines here, you'll def be coming back for more. Items we love: I'm a bit of a card hoarder, so if your S.O. 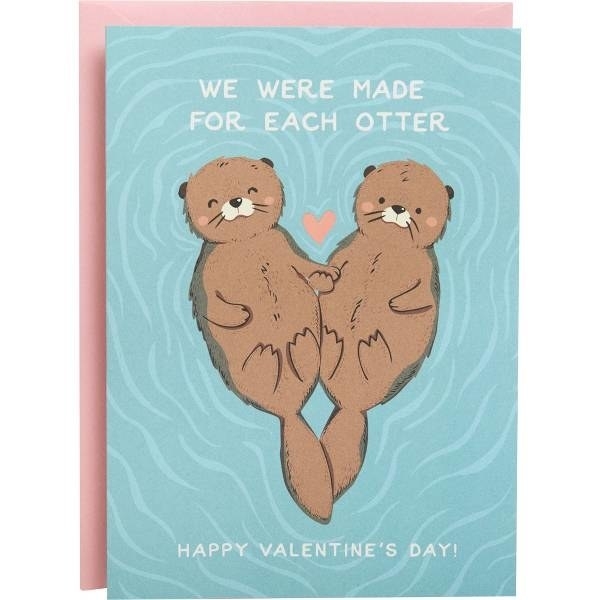 is anything like me they will truly appreciate the sentiment of a simple card with a truthful message for $3.95 or a V-Day card featuring the cutest lil' otters for $3.95. 10. Oriental Trading, in case you have a big group to give out Valentine's Day cards to and need a bulk order. Why it's great: You can order a ton of cards without breaking the bank! 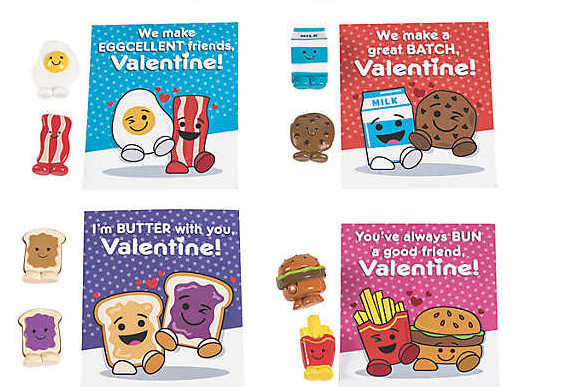 This is a perfect site for teachers wanting to give out a little something to their students or if you want to make sure all of your co-workers feel loved on V-Day. 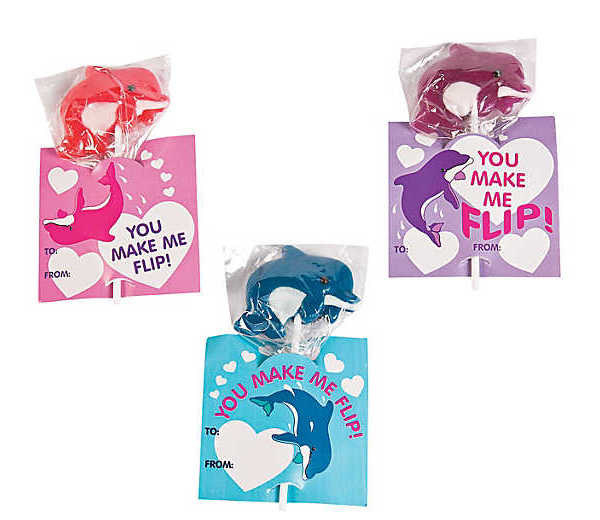 Items we love: A set of fun foodie cards that come in a pack of 12 for $10.78 or a dozen cards with lollipops that'll dolphinitely make anyone smile for $4.98. 11. Target, because you know if you actually set foot in there you'll blow your entire paycheck. Why it's great: Who doesn't love spending the day at Target? I'll tell you who — your wallet. 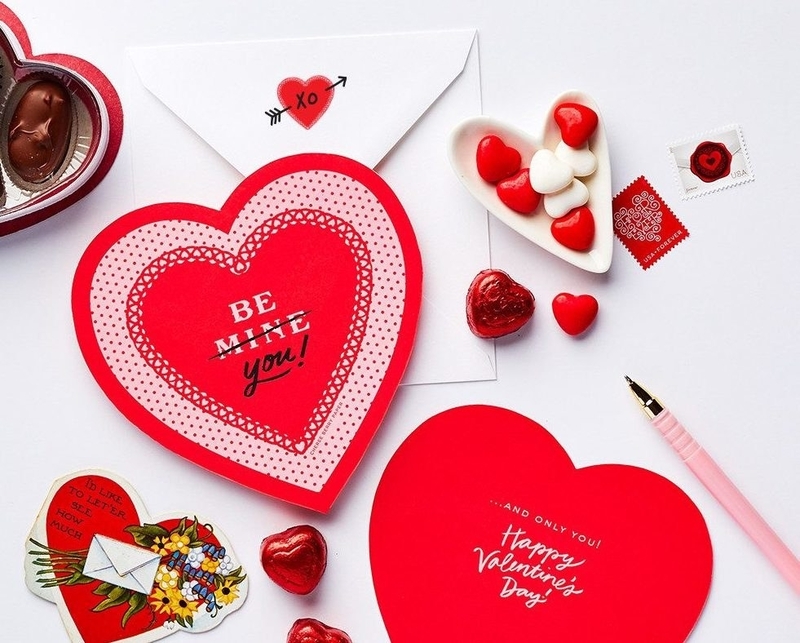 Prevent yourself from blowing all your cash on odds n' ends for your home, but still get the Valentine's Day cards you need by shopping the store online. Items we love: A three-pack of scratch-off cards that'll add an extra element of fun to a typically boring greeting card for $13.50 or a six-pack of generic cards, perfect for doling out to your co-workers on Valentine's Day for $9.99. 12. Rifle Paper Co. has such beautiful floral greeting cards you won't even need to buy your partner a bouquet for V-Day. 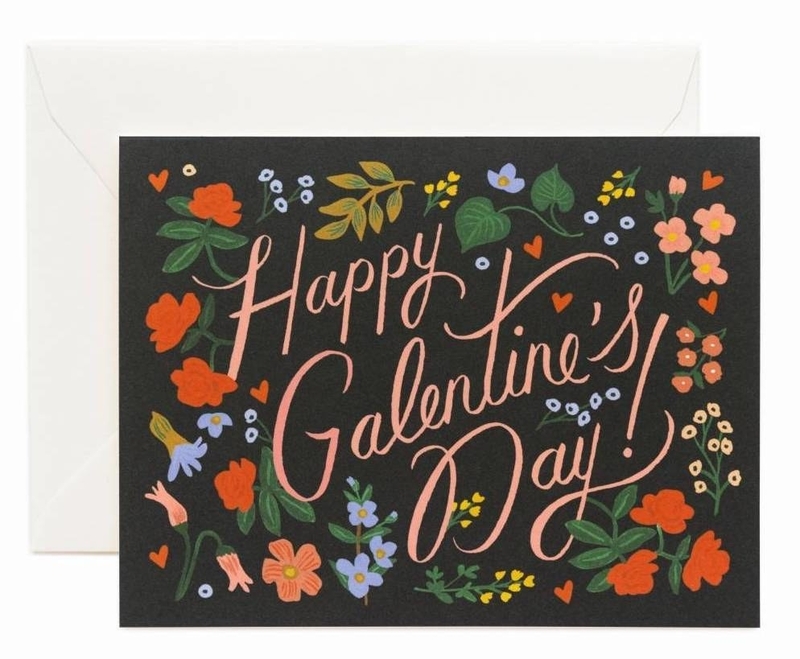 Why it's great: You may know Rifle Paper Co. for their gorgeous prints and more recently their fancy rugs and pillows, but it's their greeting cards that will immediately make you say "I NEED THAT!" Your S.O. will want to hang this card up on the fridge all year. 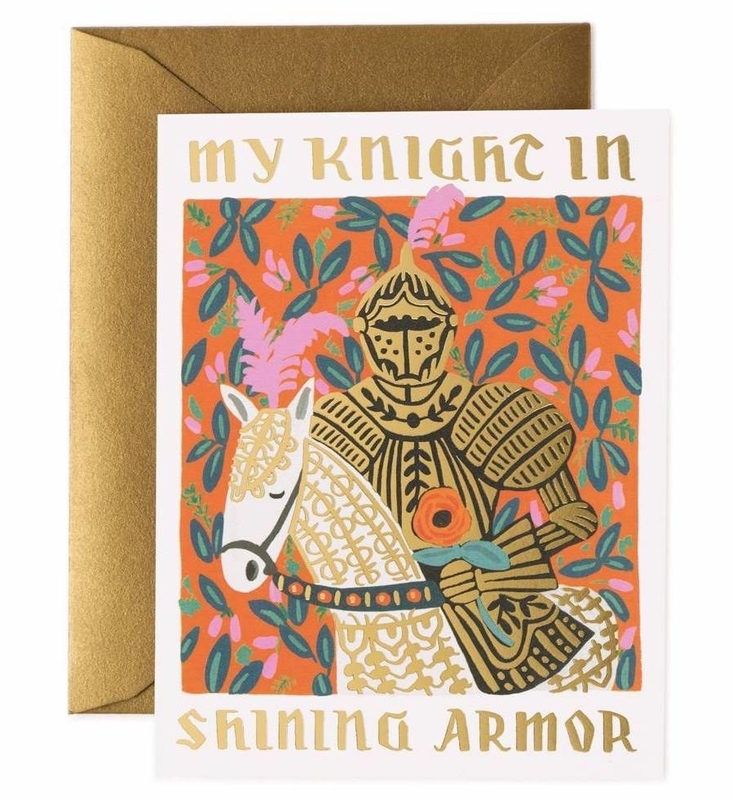 Items we love: A card for your ~knight in shining armor~ that is just so gorg you won't want to part ways with it for $5 or a floral card to commemorate Galentine's Day with your girls for $5. 13. 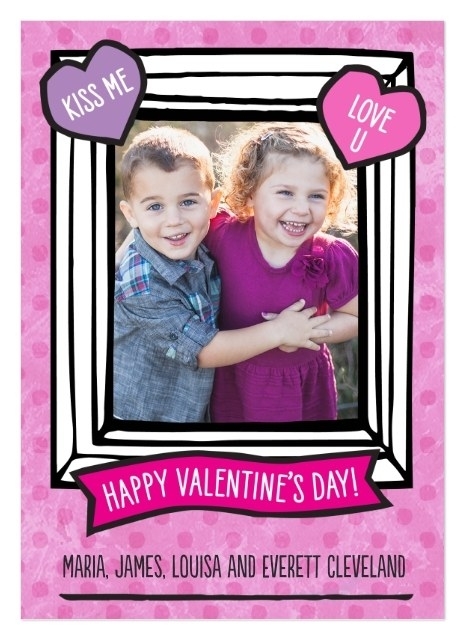 LovePop Cards, so you can gift your loved one an exciting card they'll want to look at all day. 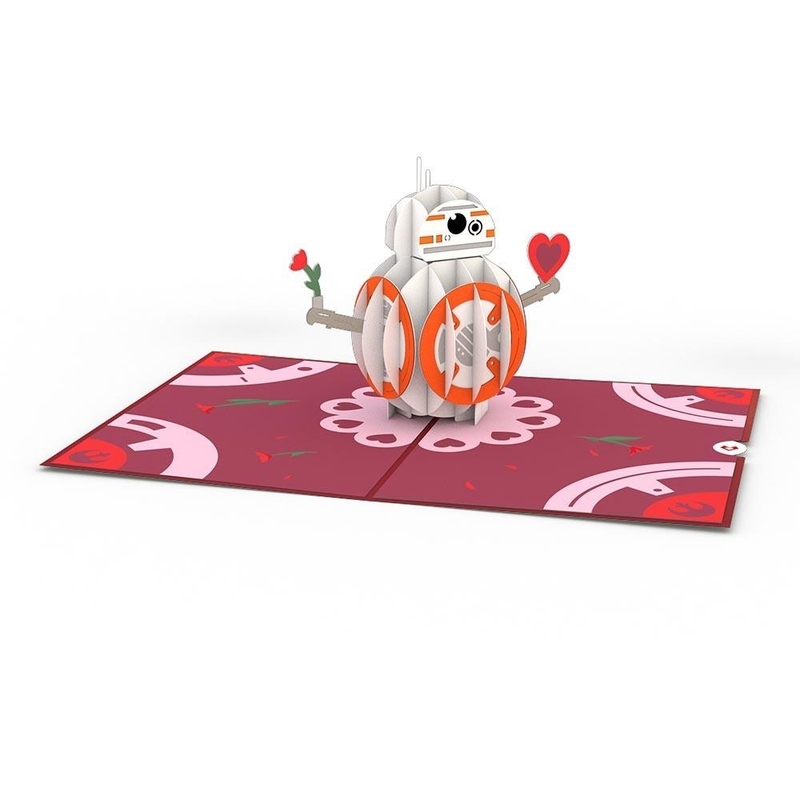 Why it's great: LovePop specializes in creating awesome 3D cards your loved ones will gush over for the rest of the month. They're really fun — and really impressively made. Items we love: A card with two embracing penguins that'll warm even the iciest of hearts for $13 or a precious pop-up BB-8 to surprise any Star Wars fan in your life for $15. 14. Emily McDowell, perfect whether you're shopping for your sister or your very new relationship. 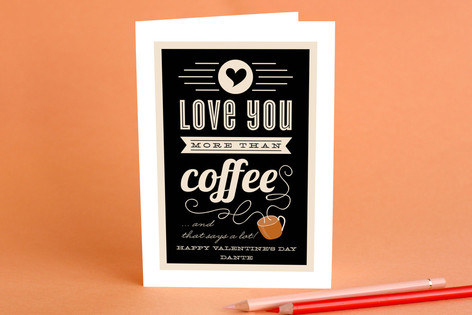 Why it's great: These cards are made with heart and humor — they will bring an extra ounce of fun to any recipient and make them feel loved on Valentine's Day. 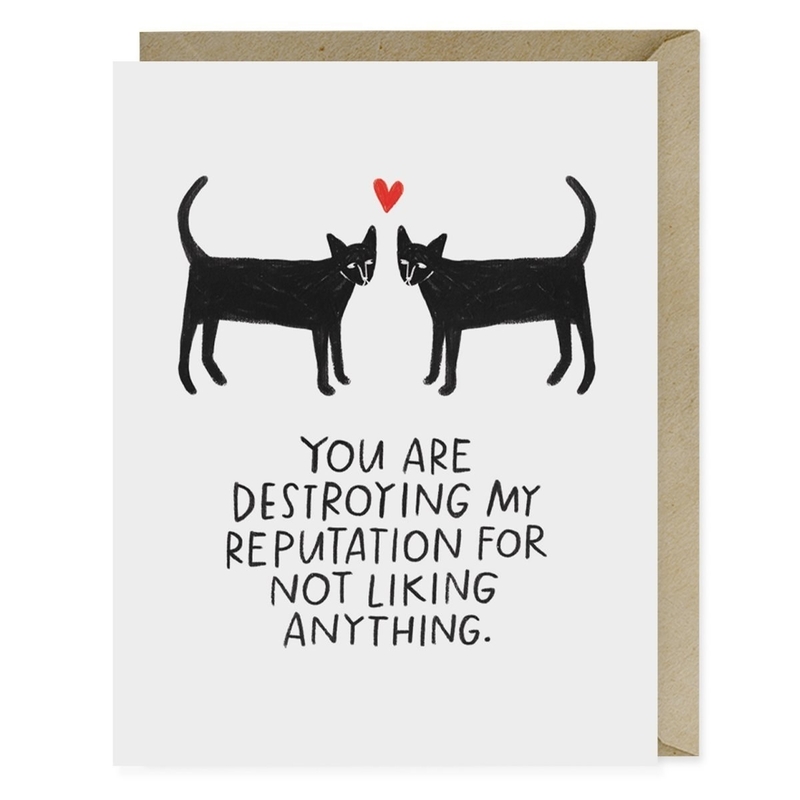 Items we love: This card that'll poke fun at your partner's ~minimal~ emotions for $4.50 or a card that gets right to the point (while still making your S.O. feel appreciated) for $4.50. 15. 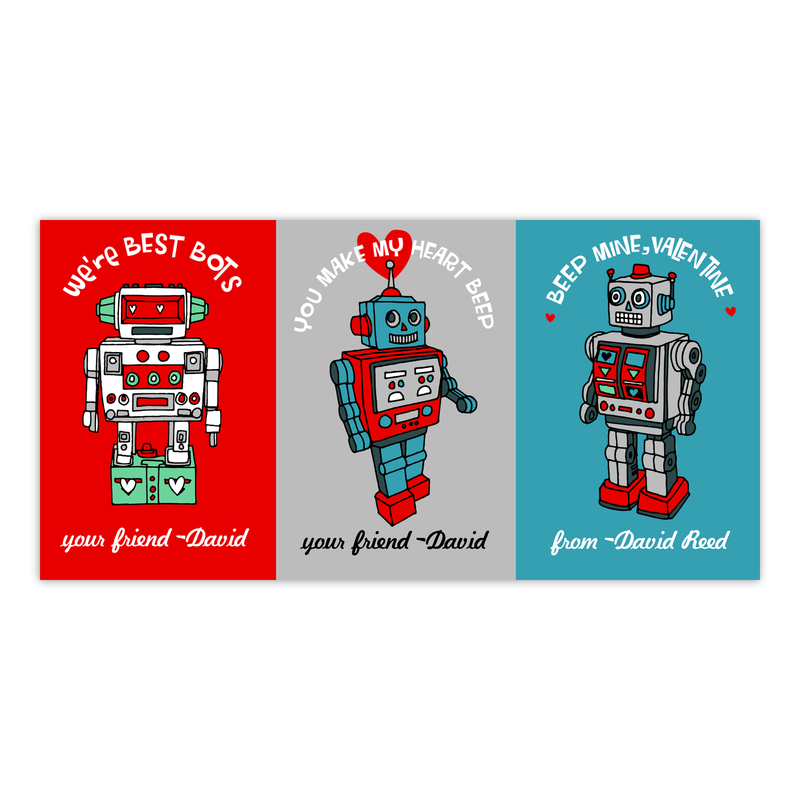 Postable, where you can choose from cool cards designed by a variety of artists. Why it's great: Postable has cards that are truly one of a kind. Created by a bunch of different artists, these greeting cards are unique and exactly what you need to make your bae feel special on V-Day. You can also add your own message right into the card before shipping it to your house. 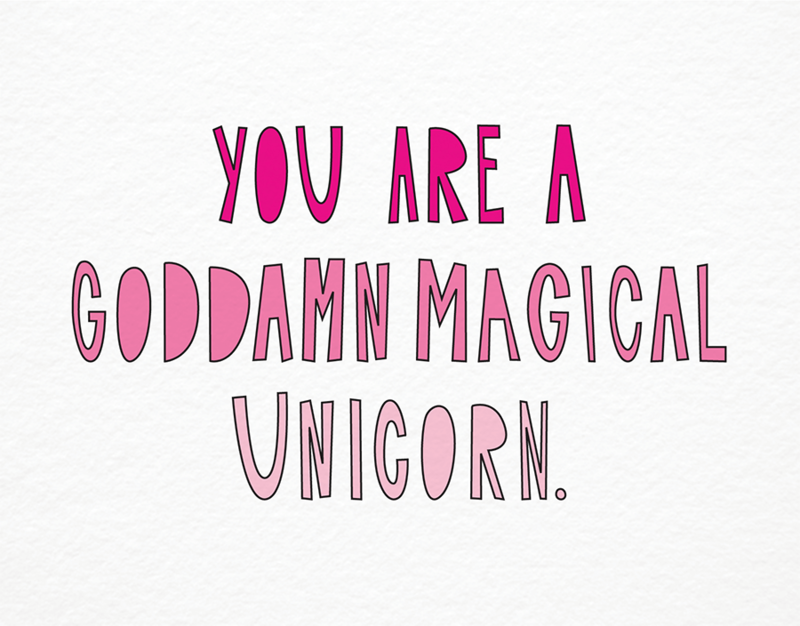 Items we love: A card for your love who is obsessed with unicorns and not so obsessed with mushy declarations of love for $2.99 or the ideal card for anyone who has been watching season after season of The Bachelor for $2.99. 16. 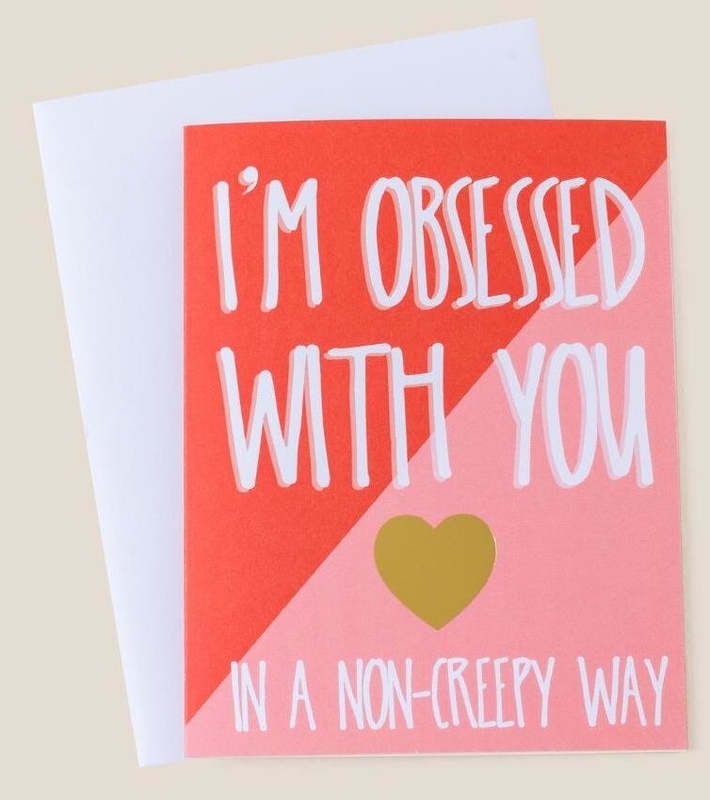 Asos, for some quirky cards your Valentine will never forget. 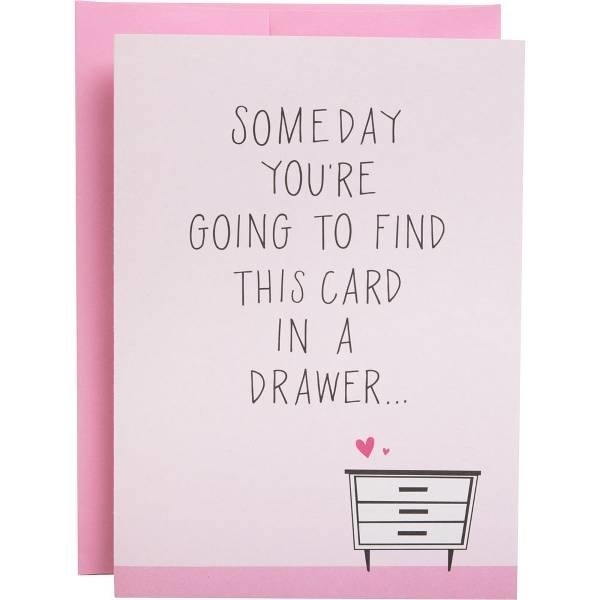 Why it's great: While you may be used to picking up chic tops and stunning shoes from Asos, they also have a fantastic gift section featuring a ton of cards that are ~on point~ for Valentine's Day. 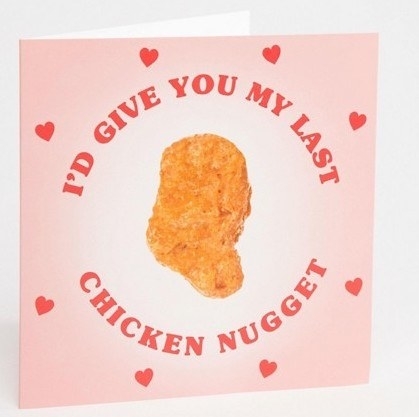 Items we love: A card with a bold statement that your nugget-lovin' Valentine will appreciate for $5 or a perf pop culture card for your boo that's constantly ~keeping up with the Kardashians~ for $6.50. 17. CVS, because you can make a personalized photo card of you and your family that'll bring your parents to tears. 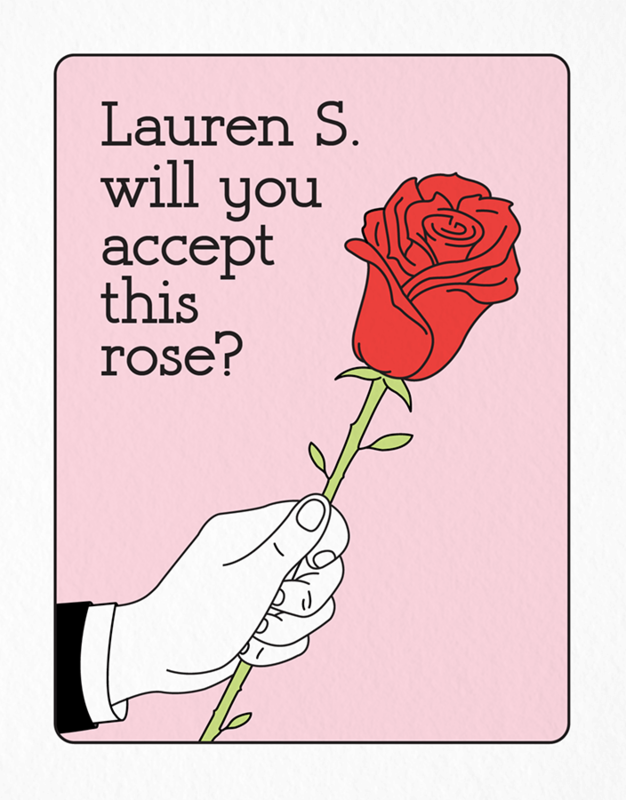 Why it's great: Whether you want to make a surprise one-off card for your sweetie or you decide THIS IS THE YEAR(!) to send out family photos for a holiday that is not Christmas (sure, why not), CVS can make that happen for you. 18. Francescas is always great for finding a memorable gift, including a card that's guaranteed to help you win V-Day. Why it's great: Whether I'm looking for a new cardigan or a small gift for a friend, Francescas has always been my go-to. It's not surprising to learn they have awesome cards not just for Valentine's Day, but for all occasions! Items we love: A card for the homebody couple that wants nothing more than to scroll through Insta next to each other for Valentine's Day for $5 or a card that'll show your S.O. just have infatuated you are with them for $5.